A Dream and a Vision…..
Wowasake Kin Slolyapo Wowahwala He E.
Know the Power…That Is peace. 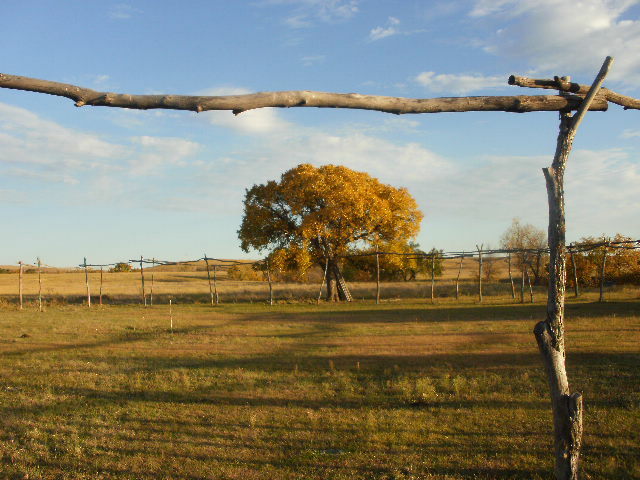 The tree in the photograph is the singers tree next to the sundance arbor. As you can see it has taken the form of a buffalo honouring the Buffalo Culture of the Lakota. 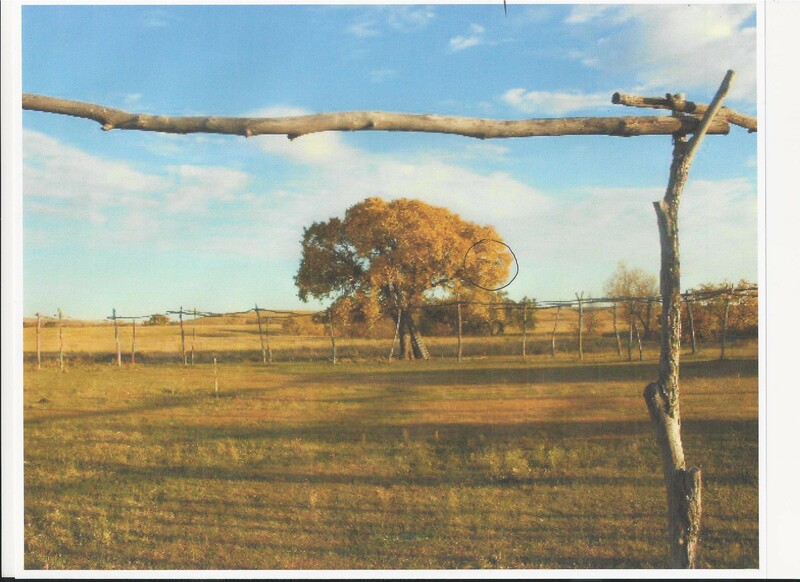 I scanned the photograph and drew a ring around the face of what the Lakota call: A Can-o-ti-la…a tree spirit. In the stories of my Celtic heritage, this being is called a faun, half human and half goat, the horned…..a messenger of Pan, Lord of the Wood. A peoples prayer walks visible. 3 Responses to A Dream and a Vision….. Thank you for sharing. I’m afraid the photograph is not the best with my little point and click but I was very happy to see the face in the buffalo tree. The Lakota culture is a buffalo culture and for the singers tree[where we sit and sing the prayer for the sundance] to take on the image of a buffalo, to me is a dream and a vision. I feel honoured that the tree spirit manifested for the photograph…I will write about them. Way cool. Thank you for the share.